Following the latest fashion trends means keeping up with the rhythm of the season and artfully weaving the newest trends into your look. 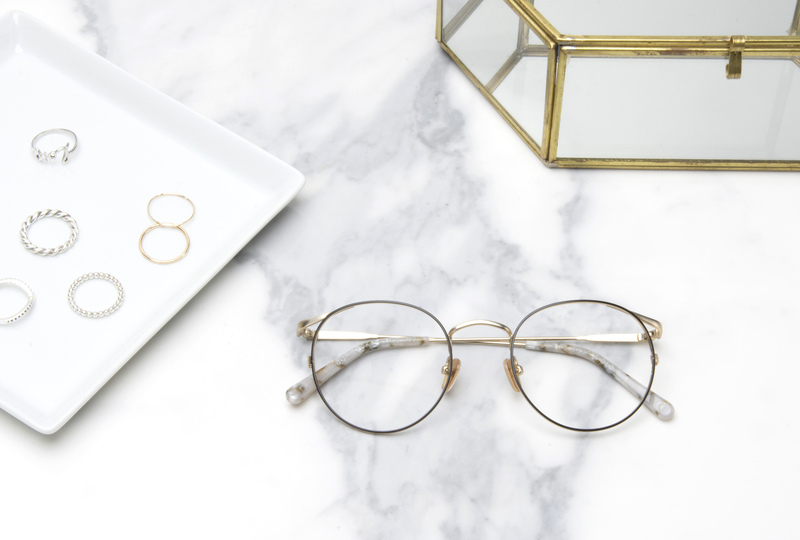 When it comes to glasses, it’s important to choose styles that create a balance with the rest of your look, all the while highlighting your natural features. Questions like how should I do my makeup? or what hairstyle should I wear with my glasses? are important to consider when deciding what pair you want to wear. Below, our favourite eyewear trends to help you step up your style. Enhance your overall look by slipping on some colourful frames: we're partial to pink! 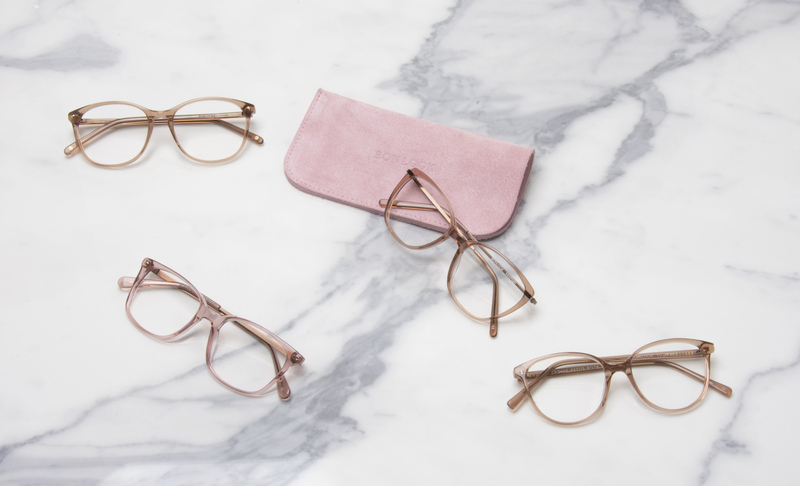 Whether you prefer a more translucent, opaque, or metallic look, pink frames are sure to become your new favourite style. Pink frames can work well with a variety of hair colours too: from darker hair colours to lighter hues like ash blonde or silver, pink frames create a beautiful contrast. Pink is playfully feminine, especially when paired with flowy, floral pieces that drape elegantly or boho-inspired styles. But it's also edgy, too. Pair your pink glasses with ripped jeans and a leather jacket for a look that oozes attitude. For makeup-wearers, use a pink frame to your advantage by drawing attention to your eyes, swiping on black eyeliner over a pearl-hued eye shadow. Then, dab on a little bit of matching pink lip gloss (a colour that matches the frame would be a glam touch). Exaggeration is a fun style tool, and that’s one of the reasons why oversized frames are such a coveted style. Oversized frames come in a variety of shapes, most popularly in round or rectangular silhouettes. You can also find your perfect pair in leopard or tortoiseshell patterns. No matter your preference, oversized frames are a key accessory in self-expression! If you're on the shyer side, then opt for an oversized frame because they're an easy and stylish way to add a layer of protection. On the other hand, this style works well with confident, exuberant individuals who seek ways to stand out more than they already do. For women with frizzy, natural, hair textures as well as those who wear their hair short, slick-backed or in a chignon, oversized glasses make perfect sense. Ah, round glasses, how do we love thee? Let us count the ways. 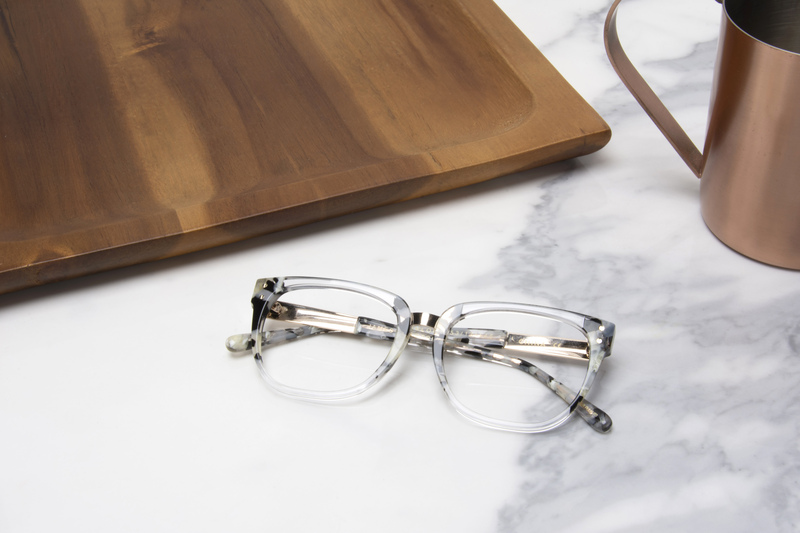 Truth be told, fewer styles feel more luxurious and sophisticated than a classic round glasses. This style of frame complements square-shaped faces beautifully, in either men or women. Got bangs? You need the right frame so go for something a little circular. Try a pair with metal contours to soften things up and blend in perfectly in bright colours like red and pink. Add in a few sophisticated twists, maybe a braided crown, fishtail braids, and twists to really enhance the style you’re wearing. On your lips, choose a deep lipstick, a mesmerizing burgundy for a look that feels distinctly urban meets vintage. Men sporting this style of frame might want to try out slicked-back hair when wearing these. Complete the look with a plaid or tartan jacket and soft cashmere scarf. Go for round glasses, because you're way too hip to be square.